Meet Olesea and Valeria, our National Leads for Moldova! I gained my professional experience both in social and private sector, as Talent Management vice president in a youth driven international organization, Human Resources manager in a local sales company and Program & PR coordinator in EcoVisio. I believe that only working for a cause gives you the sense of fulfillment and motivation each day, so my cause now is to contribute to a sustainable development of Moldova. Being the ClimateLaunchpad country lead gives me the chance to help local clean-teach startups to develop their ideas so that one day to see those ideas working for making people’s lives easier and the environment “healthier”. 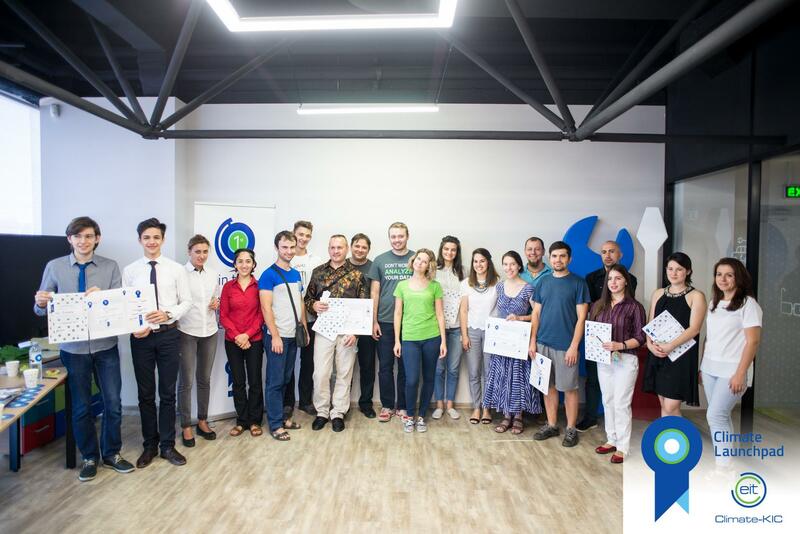 I saw from inside how clean-tech business ideas look like in Moldova and what are their weak points, and I think that ClimateLaunchpad can be the help that those ideas need in the first stage in order to have a better structured form and focused goal. How does your organisation support clean-tech start-ups? Annually EcoVisio is organizing a Fair of Ecological Opportunities and Social Entrepreneurship “IarmarEco” and a Social Entrepreneurship Educational program “activEco – sustainability in action”. I’ve studied Environment and Economics and worked in R&D and as an international trainer. As head of EcoVisio one of my main roles is running a program on social business for youth. I want to help channel the creative potential of Moldovan people into initiatives and businesses with social and environmental impact. ClimateLaunchpad contributes to our vision of a sustainable Europe. ClimateLaunchpad helps entrepreneurs concentrate on their clean-tech idea and in a very short time boost it up to a much higher level of competence. In 2014 we’ve launched a Social Entrepreneurship Educational program “activEco – sustainability in action”. Eco-village Moldova serves as an experimental lab for clean technologies like eco-construction, energy efficiency, renewables etc.